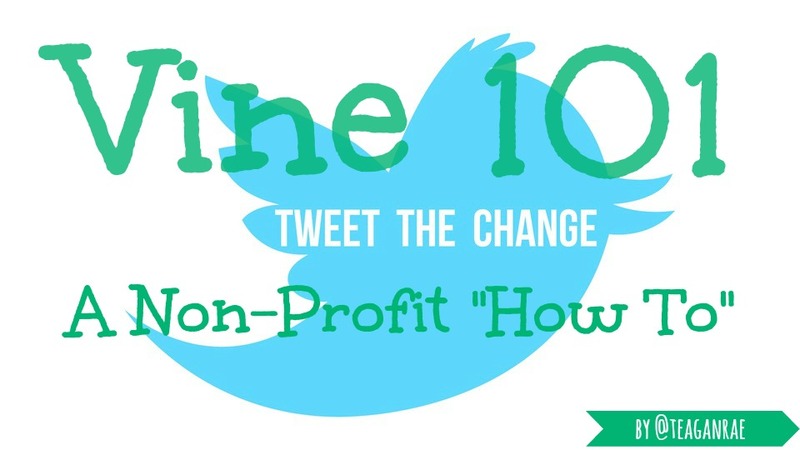 As someone who is actively involved in promoting a non profit on social media, I try to make sure that I stay “in the loop” on social media trends. Recently, smartphone apps that take short snippets of video – like Twitter’s Vine and Instagram’s Video have been soaring in popularity. Did you know that five tweets per second contain a Vine link? If that isn’t reason enough for your company to have an active account on the app then I don’t know what is. There are small difference between the two apps – Vine, for instance, only allows 6-second videos while Instagram allows 10 – but they both basically do the same thing. I’m going to focus on Vine, because it’s my personal favourite, and also because I’ve already covered how to use Instagram for your non profit. Vine, the Twitter owned video app, allows a user to record and create six-second videos that loop like a gif. Vine recently added features where users can now edit videos and save multiple drafts, allowing you to piece together the “perfect Vine.” You can now save up to 10 vine drafts at a time, and you can also go back and delete or replace any shot that you deem unworthy. You’re still not able to import video from your camera roll, which you can do on Instagram video, but apparently the company is taking steps to make the recording process easier. At first, Vine was used for friends to share short snippets of their days with each other. Then, comedians caught onto the trend and began creating six second movie-like videos (most of which went viral). I think it was around this time that Vine added in the ability to “revine” people – which is basically the same thing as retweeting. Now we’re seeing Vine being dominated by a core 12 vine users who claim to be “vine famous.” What’s important about Vine is that these kids aren’t A-List celebrities like you’d find on Twitter or Facebook – they’re just “vine famous”. 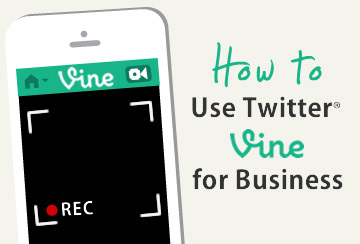 Naturally, the growth in popularity of Vine has drawn several businesses’ attention. What we’re seeing now is businesses, both national and international, reaching out to the popular Viners (i.e Brittany Furlan, Josh Peck, Nash Grier, KingBach, etc) and paying them to either endorse their products or for the rights to their clips. According to this article, Viral Spiral (a London company that connects international brands and production companies with viral content) has been actively pursuing Nash Grier, one of the more famous viners, for quite some time. We’re also seeing a lot of famous Viners being given access to companies Vine accounts, “hacking” the account, and giving some sort of quirky endorsement. So why does any of this matter to you? Well, as you may or may not know, the “tween” population represents an extremely powerful and valuable demographic to marketers and to non profits trying to engage millennials. Oh, and Vine just hit 40 million users. So that’s a pretty big market to tap into. Get an endorsement. Six seconds is more than enough time for someone (either a celebrity or one of the popular Viners mentioned above) to endorse your company or your cause. (Red) reached out to David Guetta and received an endorsement from him on Vine and it did wonders for their marketing campaign. Create hype! I think it was Rolling Stone that covered their magazine in post its and created a stop-motion video where they took off one post it at a time to reveal who was on their cover. It was fantastic. Do you have an up coming event? Maybe a product that you’re releasing soon? 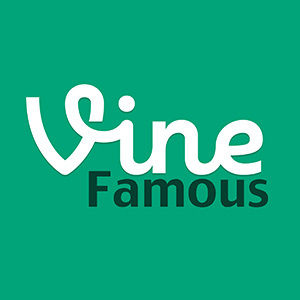 Use Vine to create suspense and/or hype for the product. Use Hashtags. When uploading your video, be sure to hashtag keywords to reach and engage with a larger audience. This will also help connect you to people with similar interests to yours. For instance, here’s a webpage displaying vines that have been hashtagged “non profit.” If you’re thinking about creating a campaign of some sort, make sure to create a unified hashtag to track people participating in your campaign. Promote Your Account across your other social media channels. Make sure to share your Vines to your Twitter account! This will help bring some of your followers over to your new account. Plus, Vine is meant for sharing! Make use of stop-motion for cool effects. Target, Oreo, and Samsung are all guilty of doing this. It’s one of the biggest Vine trends right now and it’s really easy to do. If you need some guidance on how to make a Vine stop motion video, check out this article.